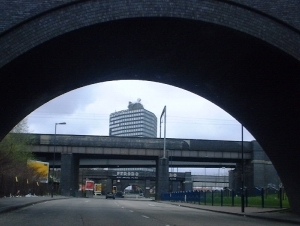 The western end of the A406 starts at Chiswick roundabout, a large junction with the elevated section of the A4 (where the M4 ends) and with Chiswick High Road. 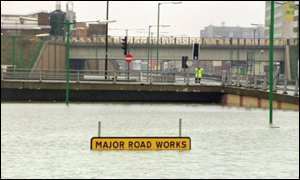 The BBC have a jamcam covering the roundabout, here. 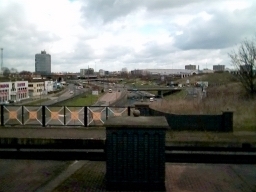 A pillbox used to stand about 100 metres along the A406 from the roundabout, on the west side of the road. 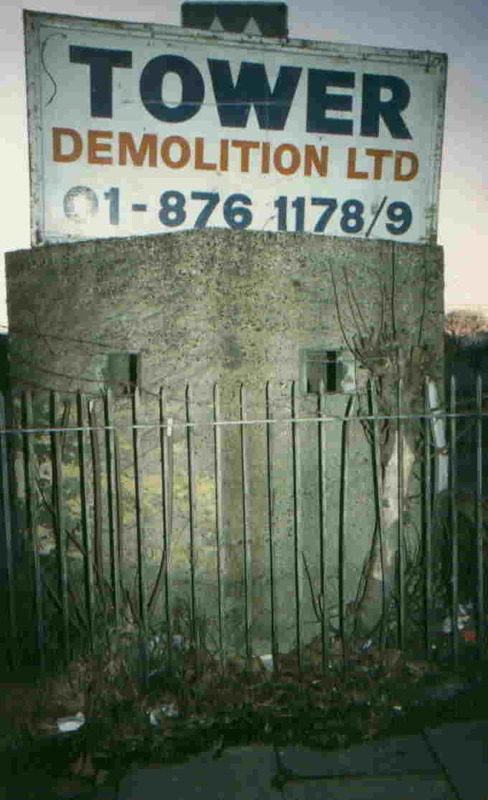 It has since been destroyed, but you can read more about it here. 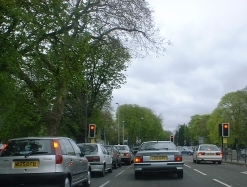 One of the greener areas at this end of the North Circular, Ealing Common is lined with trees where the A406 passes through. You can see panoramic photos of Ealing Common through the year here. 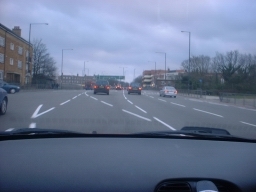 A notorious junction which is actually quite well designed - thorough labelling on the road gradually brings you into outer lanes until you reach your exit, and traffic lights control entry to the gyratory so that everyone gets a turn. However the traffic does snarl up here to some extent. 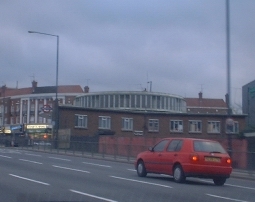 The underground station is in the middle of the junction, and serves the west end of the Central Line, Zone 3. 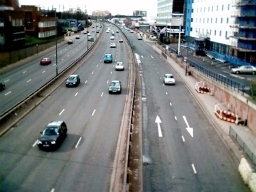 Another opinion on the Hanger Lane Gyratory can be found online here and the BBC Jam Cam is here. 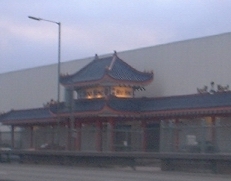 Hoo Hing is an unusual landmark - one of a series of warehouse style buildings, but with a chinese fascia to distinguish itself. Hoo Hing has several outlets in London. Their website is here. 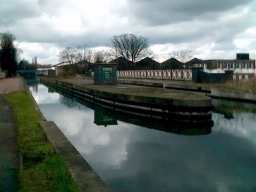 The canal passes over the A406 on an aqueduct near Stonebridge Park. The Grand Union Canal has a website, here. 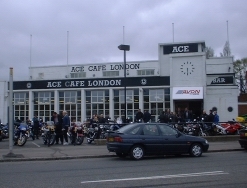 The Ace Cafe opened in 1938 and became a popular venue for bikers. It closed in 1969, but was reopened in 2001 and again hosts biking events and live music. Read the fascinating history of the cafe, and how it is today, at their website, here. 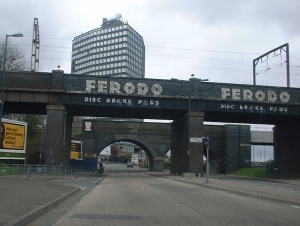 However, alongside is the old North Circular Road which is far more interesting, with older railway bridges including the Ferodo Bridge. 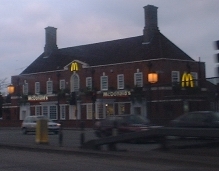 This McDonald's branch is highly distinctive, and sits near Neasden. A popular spot for breakfast on early morning trips out of London, or just to get off the road for a bit. Unlike most soulless McDonald's, this is in a real building. McDonald's UK website, which features a route planner, is here.